Bora Bora Airport is also known as Motu Mute Airport, and it serves the island of Bora Bora in French Polynesia. The airport code is: BOB and the ICAO code is: NTTB. There are no direct international flights. Travelers getting here need to fly to Faa’a International Airport (PPT) in Tahiti first, then transfer to an inter-island Air Tahiti plane for a 50-minute flight. The Bora Bora airport was originally opened in 1943, during World War II. The first commercial flight service became available in 1958, and the airport has been going through modernization and improvements ever since. The Bora Bora airport accommodates roughly 275,000 passengers each year, many of them looking to stay the night in overwater bungalows on their honeymoon, anniversary or dream vacation. One of the great things about flying through Bora Bora Airport is that there are no security lines. The vibe is very mellow, and all travelers are euphoric except for those that are leaving this island paradise. The Tahitian staff of people working the check-in counters are efficient and extremely friendly. The runway is 5,000 feet (1,500 m) long, and so the airport can only accommodate luxury private jets and smaller 48-seat and 68-feet twin engine Air Tahiti aircraft. The airport is open to the outside environment, so you board and disembark from the plane on the tarmac. If it happens to be raining, there are umbrellas available. The Bora Bora Airport is built on an island, or “motu” as the Polynesians call it. A boat transfer is necessary to get to the main island or any of the hotels. Air Tahiti runs a free public boat shuttle service to Vaitape, and most of the major resorts have their own boats to transfer guests to their property. All the boats parked outside the airport have clear labels with the resort names, so it’s real easy to navigate. Air Tahiti operates 6 to 8 flights per day from Bora Bora to Tahiti as well direct flights to several other islands in French Polynesia. Typically the last flight out of Bora Bora Airport is around 7 pm so that after dark, island residents and resort guests are not disturbed by airplane noise. Flights to Bora Bora can be booked directly on the Air Tahiti website or bought as a package through your travel agency. 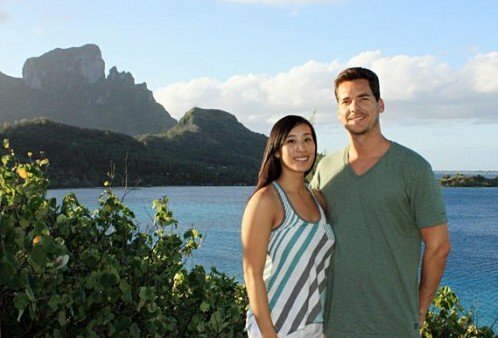 The airline has Multi-island fares available which ca save money if you plan to explore more of French Polynesia. Quick Tip – If you get to the airport early, and it’s not peak travel season you may be able to get on an earlier flight if the plane is not full. Quick Tip – When flying into Bora Bora be sure to sit on the LEFT side of the plane so you can look out the window and see a beautiful view of Mt. Otemanu and the island just before you land. 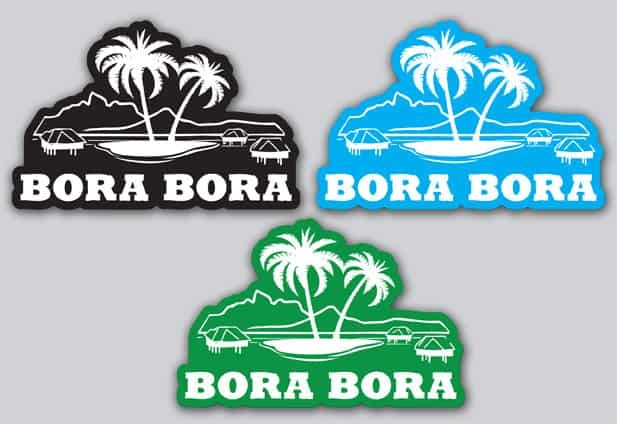 When leaving, sit on the RIGHT side for your last glimpse of Bora Bora.